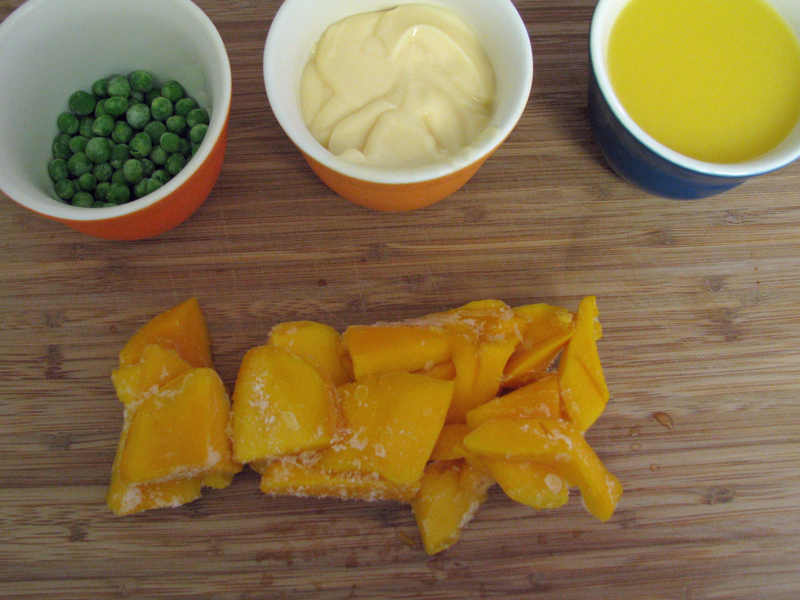 We already know the importance of children getting enough fruit and vegetables into their daily diet. However, finding a way to get little ones to eat 2-4 servings of fruit and 3-5 servings of vegetables every day can be tough -- sometimes beyond tough if you have a child that turns their nose up at any food that's green or has stems. Sneakiness is needed for these picky eaters, and you can help your child get the recommended daily amounts of both fruits and veggies with smoothies. 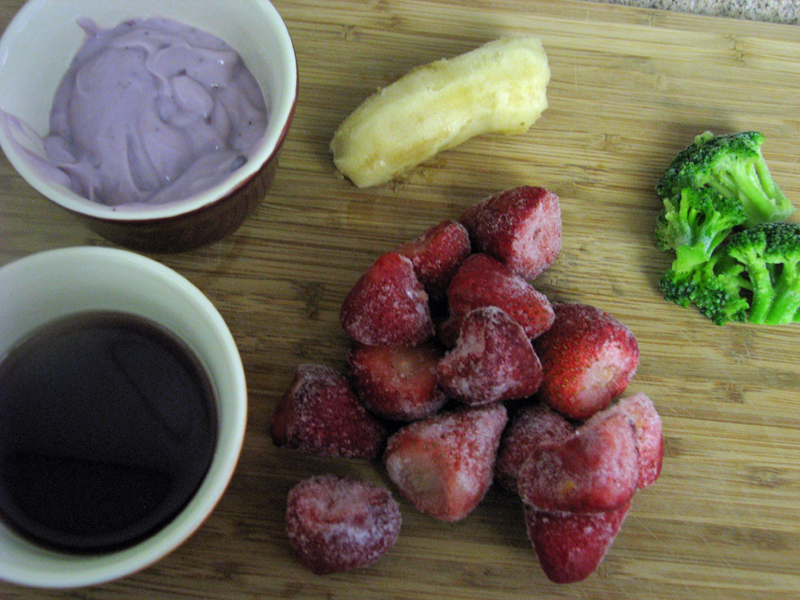 The milkshake-like drinks are perfect picky eater fix because you can throw green vegetables in with fruit, fruit juice, and yogurt - your child will never be the wiser. I serve my son one of these smoothies after breakfast to drink on the way to school. It gives him the added benefits of vegetables right before the start of the school day. 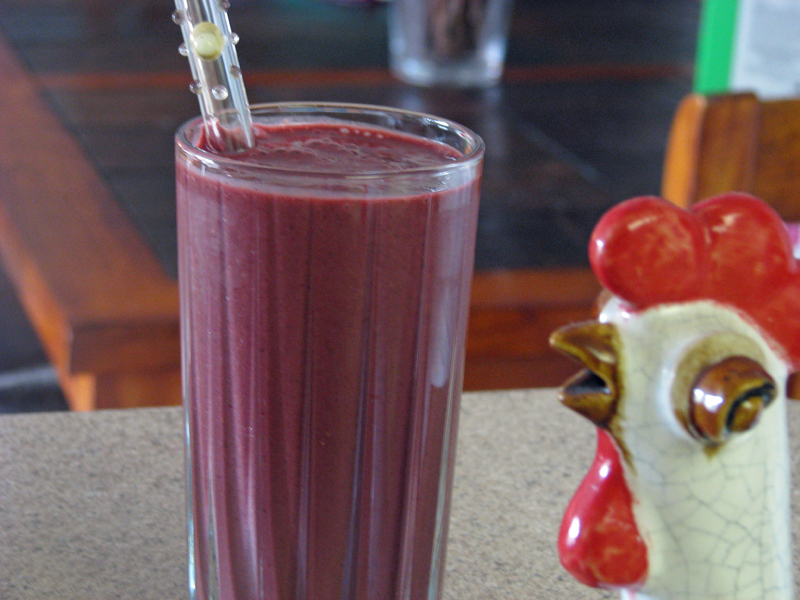 Read on for my top seven organic vegetable and fruit based smoothies that your children will devour. 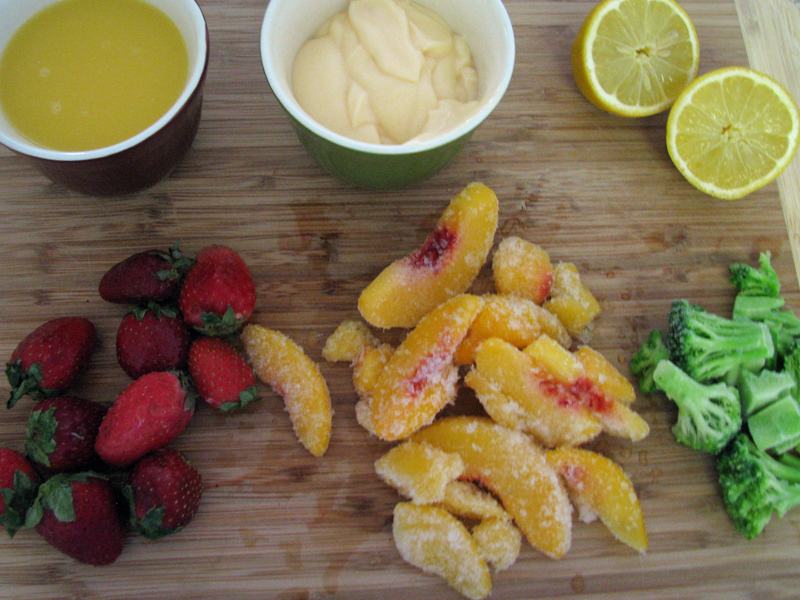 The peachy green smoothie is perfect for kids who love a treats that are a tad sour. 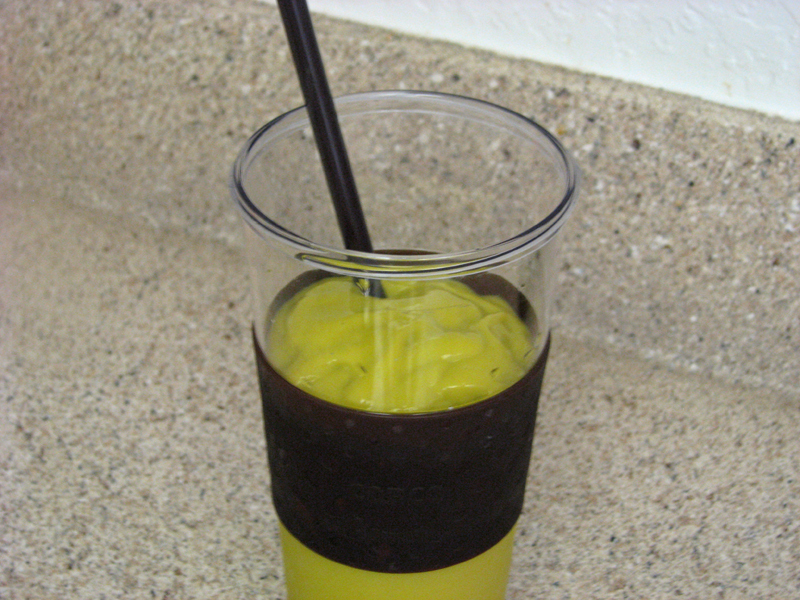 If desired, you can add more lemon juice to give it a more of a pucker punch. 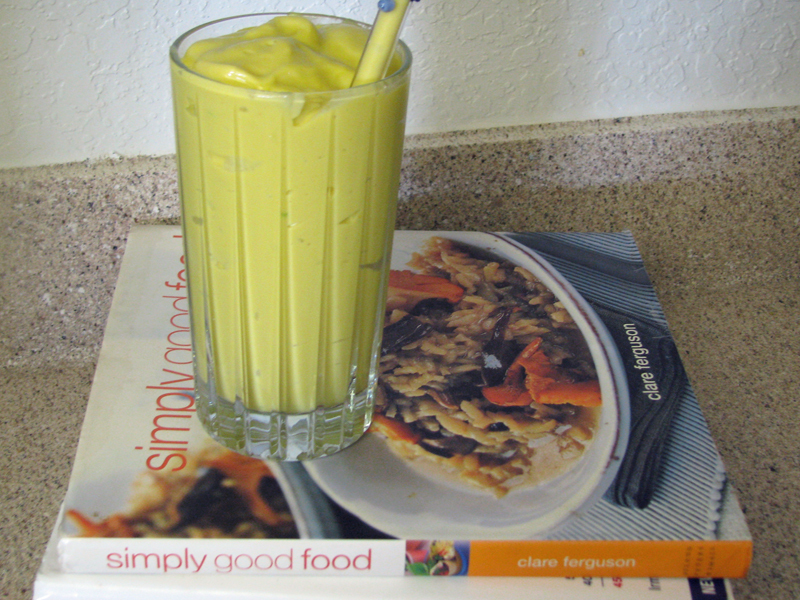 The Peas-ful Mango yogurt smoothie is perfectly sweet and chances are your family members would never guess there are peas lurking inside this drink. 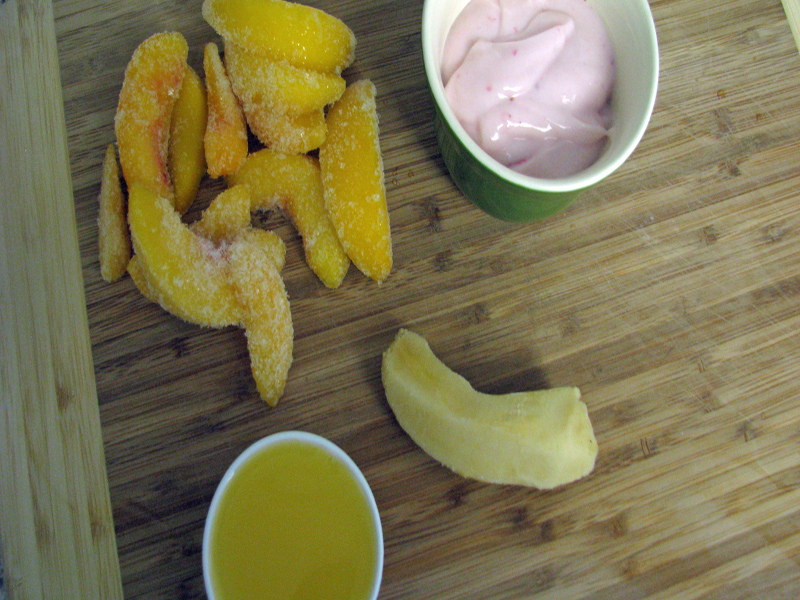 <h2>Smoothie #3: Tropical Peachy Banana</h2> <em>Blend and serve:</em> <br><br> - 1 c organic frozen peaches <br><br> - 1/2 frozen banana <br><br> - 1/2 c organic orange juice <br><br> - 6 oz organic strawberry whole fruit yogurt <br><br> The combination of banana and peaches will please any palette. It's simple and sweet, without being overbearing. 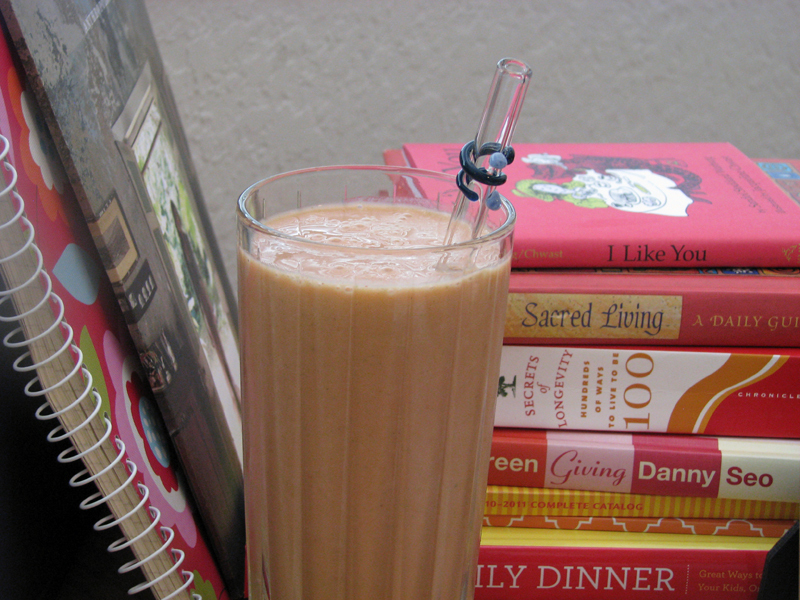 This smoothie is a strawberry delight - perfectly sweet and savory. 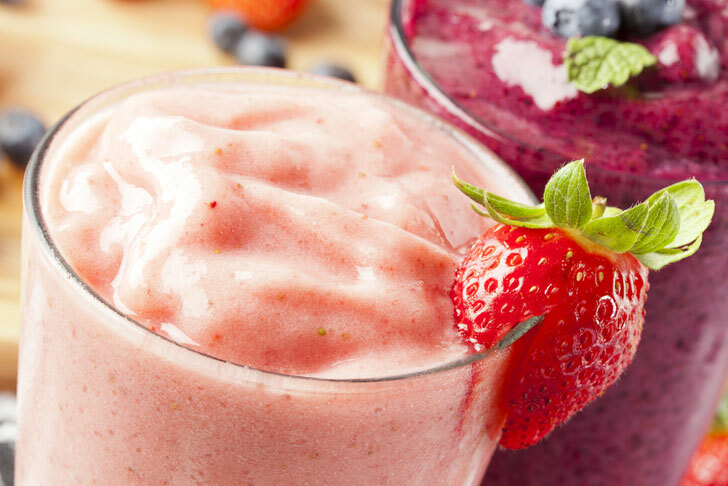 This smoothie is thick and creamy, with a soft-serve ice cream-like texture. And we bet your kids will get a kick out of it's bright yellow color! 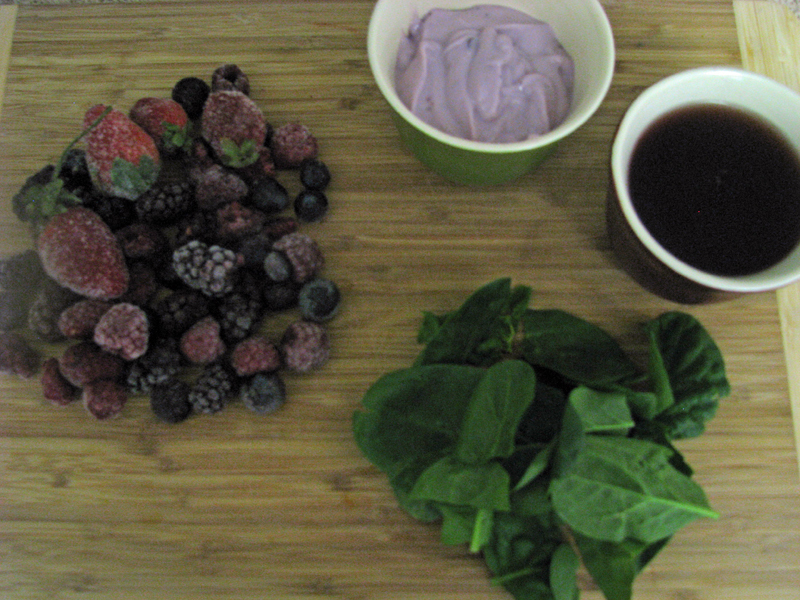 <h2>Smoothie #6: Razz Green Matazz</h2> <em>Blend and serve:</em> <br><br> - 2 cups frozen organic mixed berries <br><br> - 1/2 cup organic fresh spinach <br><br> - 6 ounces organic whole fruit blueberry yogurt <br><br> - 1/2 cup organic 100% berry juice <br><br> The refreshing Razz Green Matazz will fool your kids into eating spinach -- the dark berry hue of the smoothie covers up any trace of greens. 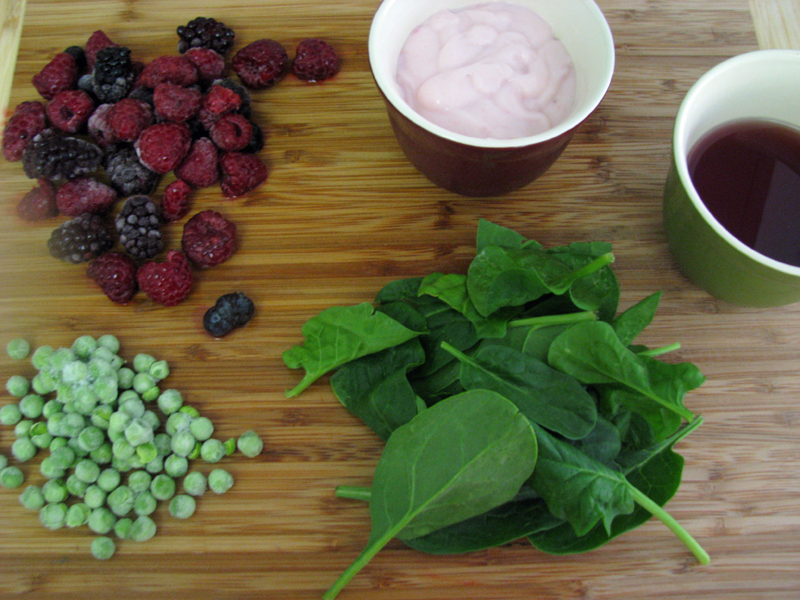 The Berry Blast smoothie is simple, sweet, refreshing, and berry delightful. 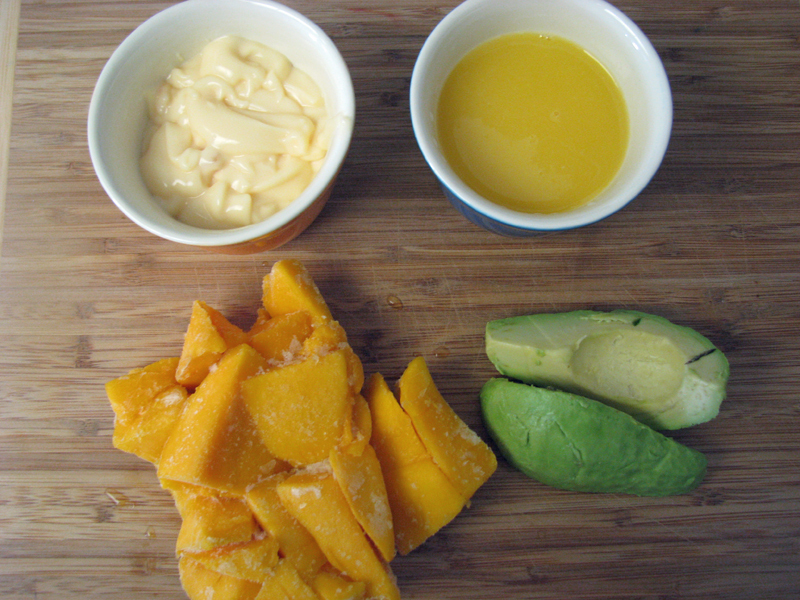 <br><br> *You can substitute any flavor of organic yogurt and 100% organic fruit juice in all of these recipes, which means you can use whatever juice you have on hand in your refrigerator. 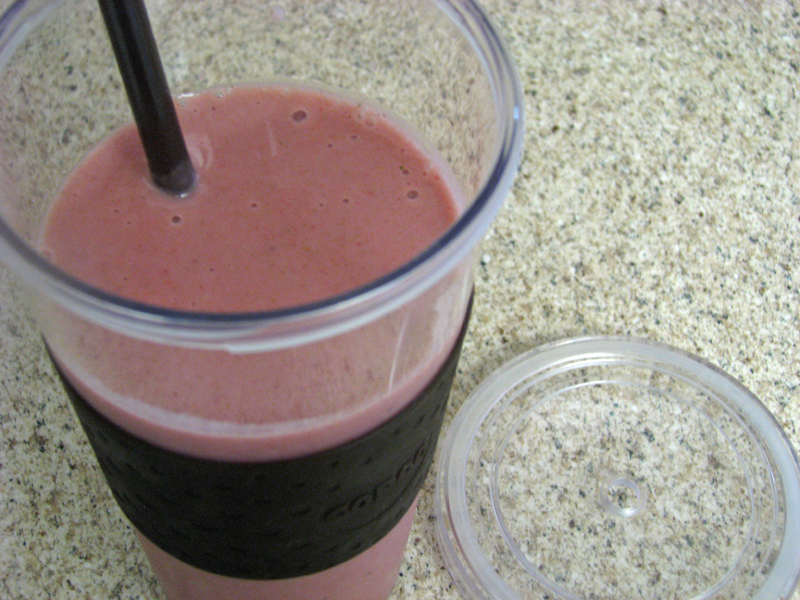 I also added 2 tablespoons of organic flax seed to all of our smoothies for an added punch of omega 3, fiber and protein.